Born in Bogota, Columbia, Juan Camilo emigrated to Costa Rica with this family at the young age of 14. Receiving his formal training in advertising and design, Camilo practiced a new technique: the combination and fusion of sculpture and painting. 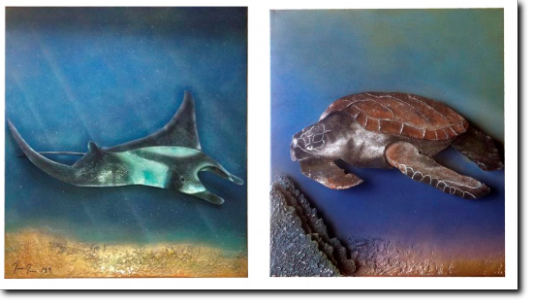 His unique original works celebrate the fauna and flora of Costa Rica. His works are made entirely with metals by hand, using materials that protect and preserve the pieces to ensure its finish and durability. Visit the Hidden Garden Art Gallery to see his newest pieces!